Sheridan is committed to the safety and security of all students, faculty and staff members. Emergency call stations are located at several points on the campus grounds, buildings and parking lots. These emergency call stations ring directly to Campus Security and are given the highest priority by the dispatcher. The emergency call stations provide two way communication between the caller and the dispatcher. Information on the location of the emergency call station is displayed to the dispatcher to enable quick response even if the caller is unable to speak to the dispatcher. Emergency phones are tested monthly to ensure they are in good working order. 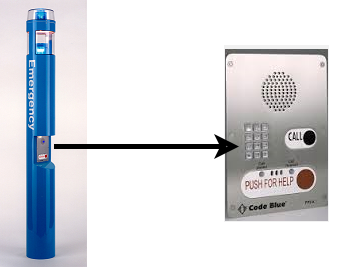 Pressing the RED "Push for Help" button will send the call directly to the Oakville Campus Security (ext. 4044) as this line is monitored 24/7. If the call comes from any other campus the attending security guard at the Trafalgar campus will immediately call the security contact at the appropriate campus. The Black "CALL" button allows callers to dial internal extension numbers within Sheridan at any campus location. To report a problem with an emergency phone, contact the IT Service Desk at ext. 2150 or send email to servicedesk@sheridancollege.ca.